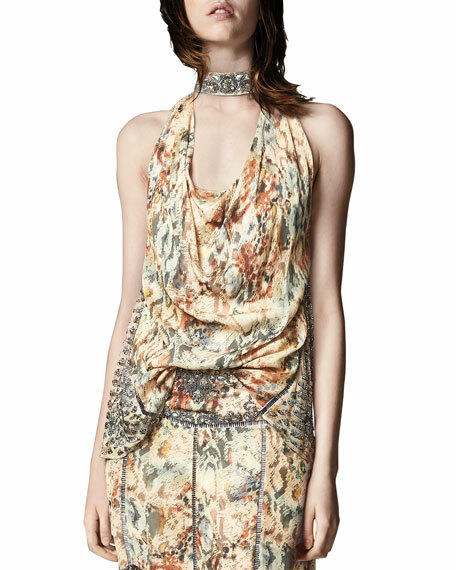 Haute Hippie "The Orian" printed tank with beaded embellishments. Approx. 25" down center back. For in-store inquiries, use sku #2309143. Exclusively ours. 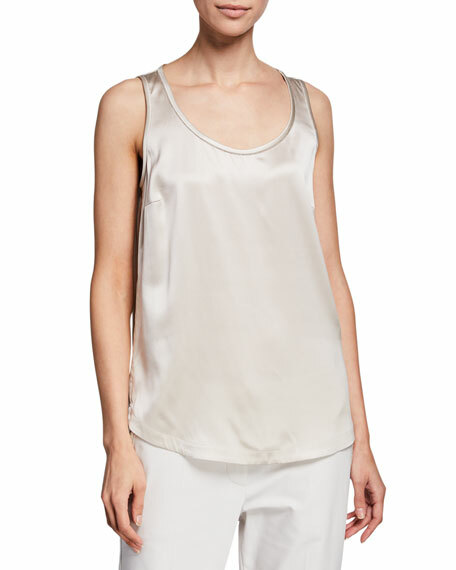 Brunello Cucinelli silk tank with monili trim. Scoop neckline. Sleeveless. Semi-fitted. Curved hem. Pullover style. Silk/spandex. Polyester lining. Made in Italy. 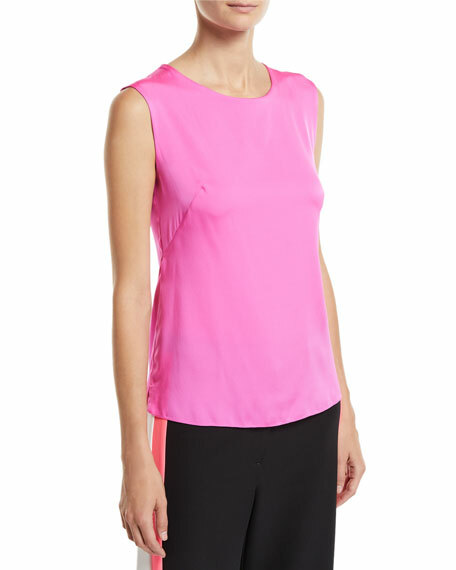 Milly "Charlie" top in stretch silk. Crew neckline; buttoned-keyhole back. Sleeveless; wide straps. Semi-fitted silhouette. Even hem; vented sides. Pullover style. Silk/spandex. Dry clean. Made in USA of imported material.